We favor of animal rights as well as human rights. That is the way of a whole human being. 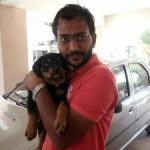 This most important thing that I have shared with on this portal, This doglover.in is not selling product or not marketing of any Dog hostel or Doctor, We love the Dogs so we things we have to share our idea and make one community where we can share How to take care of Dogs, Dogs Training, Health and wellness of the dogs. we are also sharing some article and Animal law and helpline number so you can easily contact with them and we can help from cruelty. Our Goal : Our goal is to foster and develop compassion, empathy and respect for pets, animals and all living creatures, thereby creating a better world for people and animals alike.